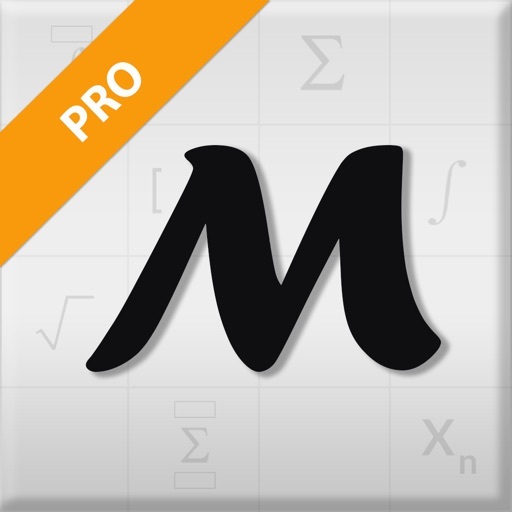 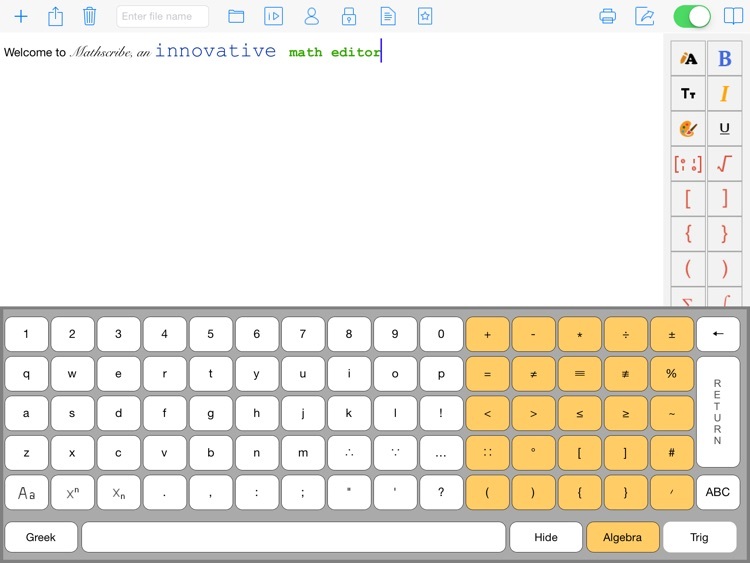 Welcome to MathScribe, an innovative Math Editor that lets you complete your Math tasks easily! 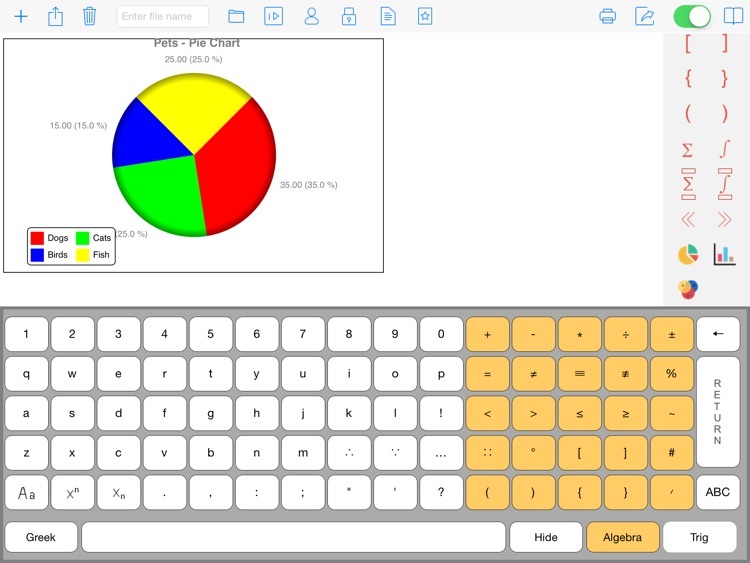 This iPad application packs in a host of basic and advanced customized keys for Arithmetic, Trigonometric and Greek input backed with superscript and subscript functionality. 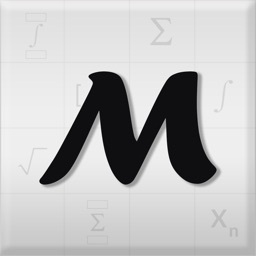 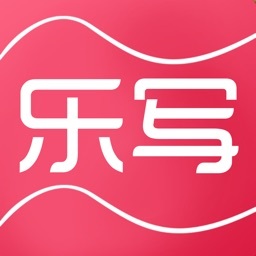 There are no compatibility worries since MathScribe incorporates the Unicode standards. 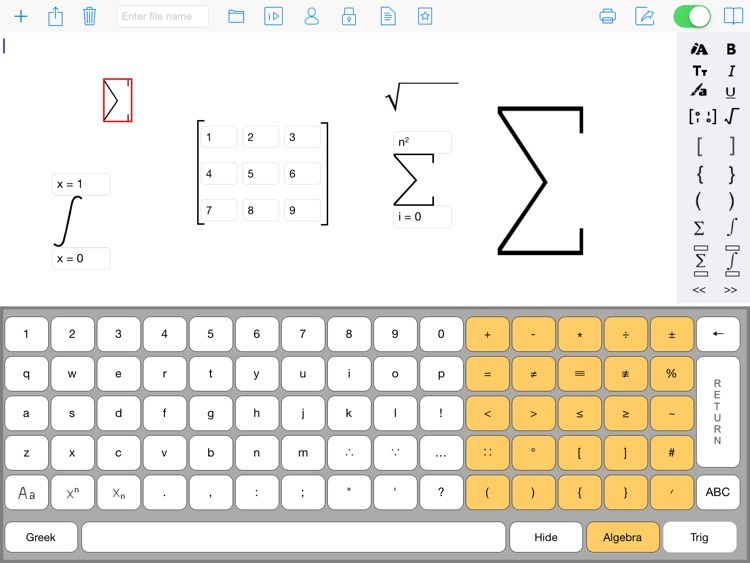 Mathscribe Pro’s new exciting features like Air Print, PDF creation and ability to draw images (square root, matrices, summation, integral symbols etc) makes your task even more easy. 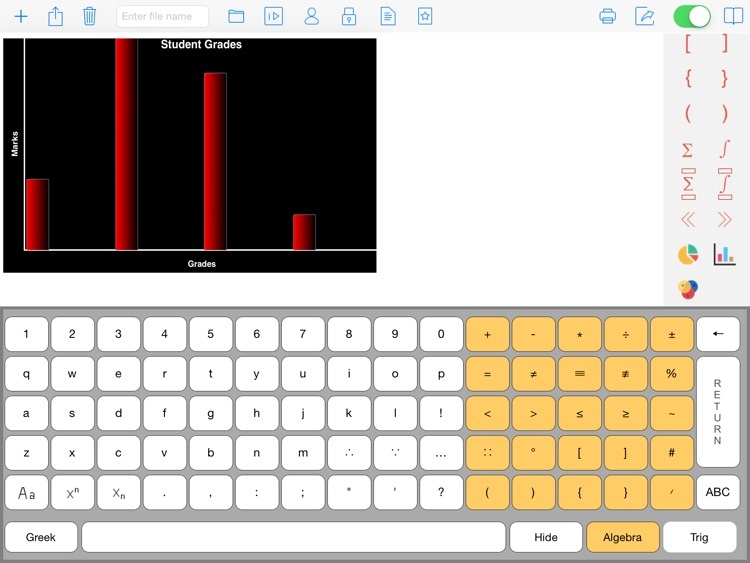 Mathscribe Pro now makes use of Core Plot framework to create exciting graphs & charts ! 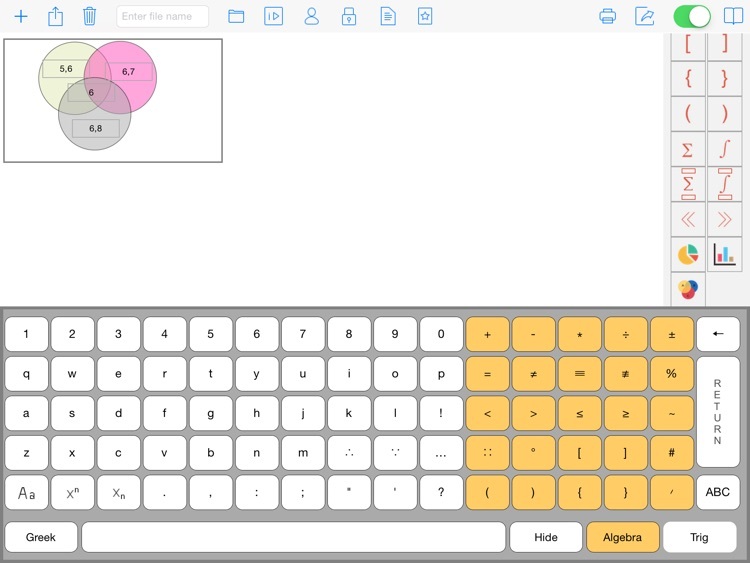 Draw Venn Diagrams (set notations) with Mathscribe Pro 's newly added features ! 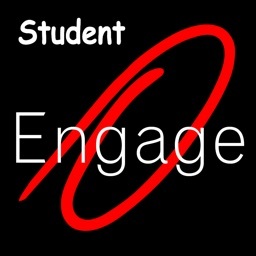 Share your work with friends by choosing to e-mail a PDF version of your assignment. 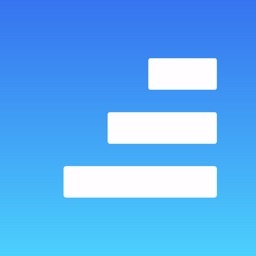 Apply Rich text formatting to enhance readability of your work. 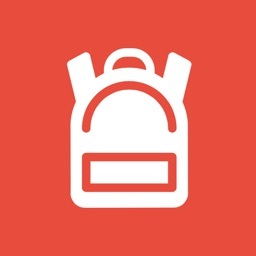 Submit a hard copy of your assignment by using the new AirPrint option !